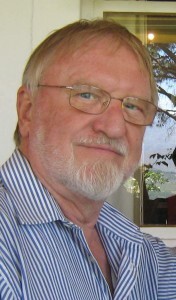 Heiner Lotze studied Naturopathy at the College for Naturopathy in Munich/Germany and qualified as a Naturopath in 1985. He is registered in Germany as a Naturopath and member of the German Naturopaths’ Association. He is registered as a Naturopath in Australia and a Fellow of the Australian Natural Therapists Association (ANTA). He practiced as an Iridologist and Naturopath in South Africa, Australia and Germany for many years and has been involved in research and development of natural remedies and supplements for the past 25 years He specialises in Bio-Resonance Diagnostics and Bio-Energetic Therapies. He lectured advanced Biological Concepts in Australia, New Zealand, Japan, Taiwan, China, Malaysia, Singapore and Germany for six years. He held workshops and seminars regularly in Australia and Asian Countries, attended by General Practitioners, Paediatricians, Dermatologists, Naturopaths, Homoeopaths and other Health Professionals. His special fields are advice on Natural Treatments of Allergies, Arthritis, Hormonal Irregularities and Deficiencies (Infertility, Menopausal Problems, Osteoporosis) and Advanced Biological Concepts, i.e. development of natural supplements, which are free from negative side effects. He emphasizes a genetically correct diet, which depends on the inherited sensitivities of the patient. He is a member of the Health Sciences Institute (USA) and member of the South African Society of Integrative Medicine. After practicing in Australia and Germany and lecturing in Asian countries for six years he returned to South Africa in 2003 and works as a Health Consultant in Cape Town. He is the founder and proprietor of the company BioConcepts®, producer of Natural and Bio-Identical Supplements.